At TELUS International, we understand the relationship between the success of our company and the well-being of the communities where we live, work and serve. We know that our team members want to be part of something bigger. And when given the opportunity to make a meaningful difference in their own communities, our proud team members reward us with their ongoing commitment and loyalty. Since 2007, almost 100,000 TELUS International volunteers have impacted the lives of nearly 150,000 people across the globe. In addition to our weekly (even daily) charitable activities, once a year we focus our efforts on our TELUS Days of Giving. Thousands of our team members put aside their daily activities to join a common cause, whether it’s building entire schools in Central America, refurbishing centers for young children in Eastern Europe or constructing entire villages for the homeless in the Philippines - and more. 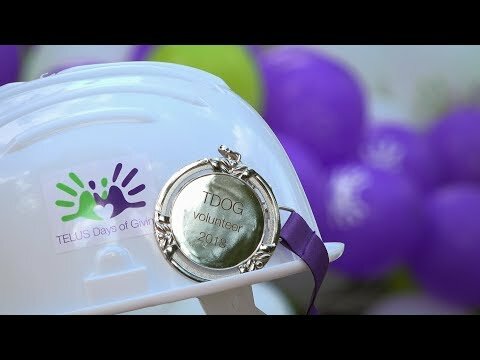 In 2018, over 12,000 TELUS International team members participated in TELUS Days of Giving events around the globe. 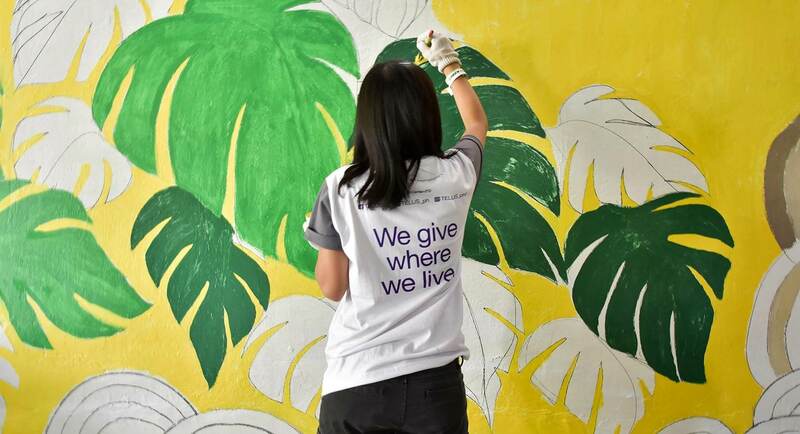 For several of our partners and clients, the sheer scale of our CSR activities are awe-inspiring to the point where clients are asking to take part in our TELUS Day of Giving events around the globe. This means working hand in hand with our clients to make a difference improving the lives of children, enhancing education and alleviating extreme poverty. During our long-time partnership with Gawad Kalinga (GK) in the Philippines, we have created two new villages and built hundreds of homes for some of the nation’s poorest families. On a regular basis, our team members continue to volunteer at the villages teaching life skills, tutoring children and empowering previously homeless people to take control of their lives. HOPE is an 8 to 10-month life-changing program for students in Central America teaching them English and job skills while they receive an allowance from TELUS International. At the end of the program, students are given fulfilling roles in the company, enabling them to support themselves and their families. 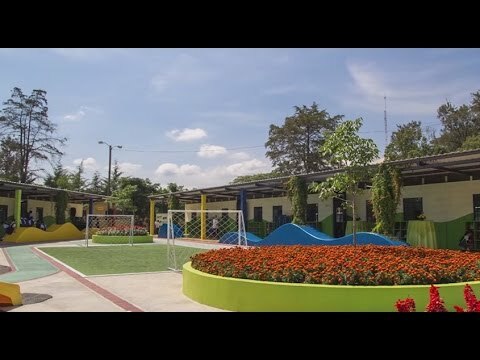 For years, in El Salvador, TELUS International volunteers have been actively involved in improving the education of young children. The “GIVE” program runs in partnership with Glasswing International in two public schools sponsored by TELUS International. Once per week, volunteers lead after school programs, sharing their skills in arts, sports and academics. We believe the diversity of our team is a significant competitive advantage and we value the contribution of each and every team member. 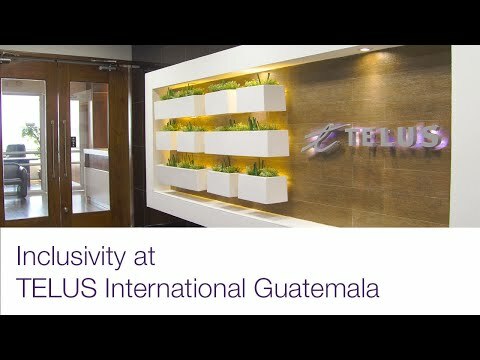 As just one example, take a look at our Inclusion Program for the Hearing Impaired at TELUS International in Guatemala and see the impact on people like Gaby, Blas, Michelle, Jeyner, Gabriela, Maynor and many others. We believe in the power and happiness that comes from bringing your true self to work every day. As a result, we are proud to support Spectrum - our resource group for lesbian, gay, bisexual, transgender, two-spirited, queer and allied (LGBT2QA) team members - with a vision of creating a more diverse and inclusive work environment at TELUS International. First launched in Canada by our parent company, TELUS, TELUS Wise empowers children, adults and seniors to stay safe online. 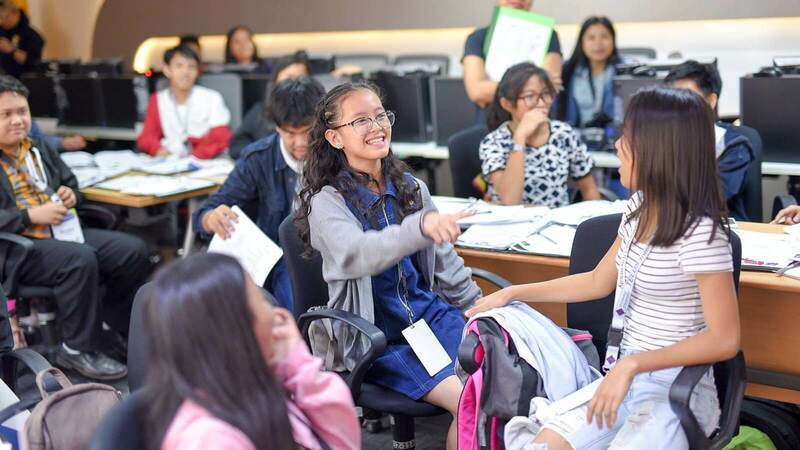 The program, now also available to TI team members in the Philippines and Vegas, offers interactive and informative workshops and content to protect one’s online security, privacy, and reputation, rising above cyberbullying, and using technology responsibly. Connections is the women’s network of TELUS International, a program that seeks to create an inclusive community and connect the needs and interests of women in the company while supporting their professional and personal development. As an example, in El Salvador, the “Work for Her” training program provides high school graduates with 210 hours of English training and 40 hours of life skills workshops which can then be used to apply for full-time positions within the company. We believe in taking CSR further. Created in 2005 by our parent company, TELUS, 13 Canadian community boards and five international boards have led the company’s support of grassroots charities and have contributed $72 million (U.S.) in support of 7,000 local charitable projects, enriching the lives of more than two million children and youth, annually. TELUS was honored to be named the most outstanding philanthropic corporation globally for 2010 by the Association of Fundraising Professionals (AFP), becoming the first Canadian company to receive this prestigious international recognition. 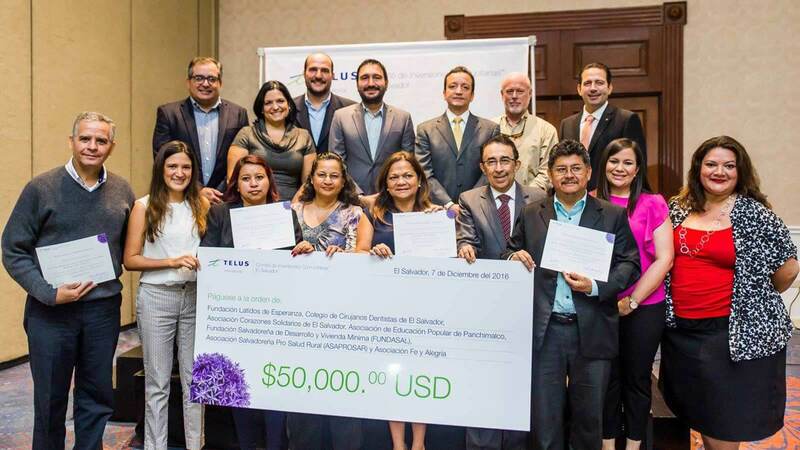 TELUS International’s five Community Boards are making a positive impact in the Philippines, Guatemala, El Salvador, Bulgaria and Romania, each with a US$100,000 annual donation budget.